The Las Vegas Strip is home to many world famous resorts and casinos. 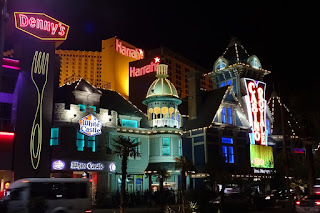 From the South Pointe Casino on the south end of the strip to Golden Nugget and the Fremont Street Experience, there is a lot of real estate for gambling, shopping, dinning, and shattered dreams and bank accounts. The first casino to call the strip home was the El Rancho, which opened in the 1940s. More casinos opened shortly afterwards including Hotel Last Frontier, the Flamingo, and the Desert Inn. Many of the hotels that made Sin City the city it is today are now gone. Some hotels burned to the ground. Others were demolished for bigger casinos. It’s a lifecycle of casinos in the glitz and glamour of The Entertainment Capital of the World. The Dunes, Sands, Stardust, and the Hacienda were all once the hotspots for celebrities such as Elvis Presley, Sammy Davis Jr., Frank Sinatra, and Dean Martin. These casinos have all since been imploded to make way for bigger casinos such as the Venetian and the Bellagio. The implosion of a casino is an event for those who live in the city. I like to think of it as a funeral. The service happens overnight and hundreds of people usually attend to see history come crashing down. The neon signs that stood outside of these once famous casinos have a final resting place. And you don’t have to look far to find the cemetery. Just north of Fremont Street, is The Neon Museum. The museum features a collection of some of the most famous neon signs from the 1930s to today. The two-acre museum is next to the Boneyard itself, which houses more than 150 historic signs from the Stardust Hotel to the Algiers Hotel. 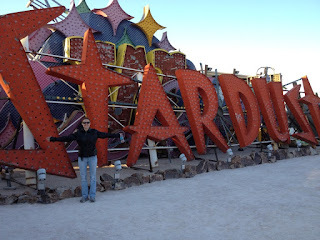 My husband and I toured the Neon Museum during a trip to Las Vegas. This was the second attempt to visit the museum. We didn’t realize on our first attempt that we needed to reserve a spot for a tour. A travel fail for sure but we learned our lesson. A few years later, we walked through the door to the final resting place for the history of Las Vegas. Our tour guide was a walking history book. He talked about the beginnings of the city and all of the major players. He also talked about YESCO – the company that started the neon sign business in the 1930s. We walked around the museum looking at the different signs and romanticized what life was like when these neon signs once glowed along the Las Vegas Strip. Like I mentioned above, you will need to purchase tickets for a tour. If you catch a tour during the day, it will cost you $18 per ticket. If you want to tour the museum at night, the cost goes up to $25 per ticket. Daily tours usually sell out so plan in advance. Parking is free. The tour generally takes about an hour. Afterwards, you can visit some of the historic hotels that still stand today including the Flamingo and the Tropicana. 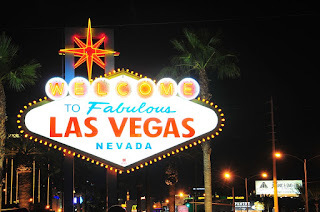 And since it is Las Vegas, you can plan an entire vacation that includes visits to the Neon Museum, Hoover Dam, and even the West Rim to the Grand Canyon (about 2 hours from Las Vegas). Need a play to stay? 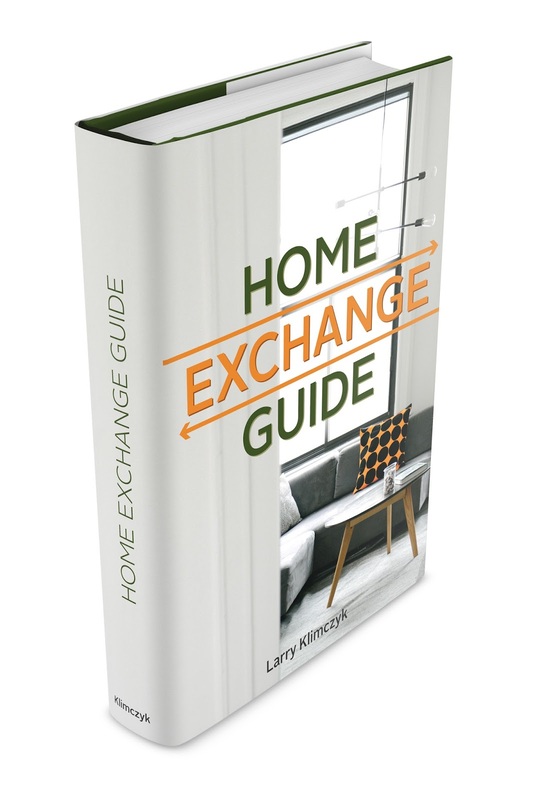 Just check out the many International Vacation Home Exchange properties around Las Vegas and surrounding communities. And as always, save travels.